The square-mile of land (section) that now contains the park was part of the original land grant to Washington State in 1889, which was by law dedicated to be managed to support public schools. The original land grant was for Section 16 of Township 25 North and Range 5 East, in the terminology of the Public Land Survey. 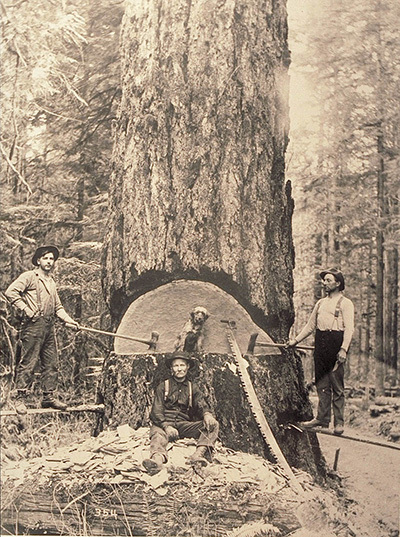 Section 16 was logged from the late 1800s until 1936 through leases of sections of the park or timber sales. About 160 acres of the total 640 acres granted to the state was sold to individuals, giving rise to the odd shape of the current park. In response to a request from local horseback riders who used the area, the Washington Commissioner of Public Lands set aside the area of the current park for park use in the early 1930s. State Parks began leasing the land for park use in 1962 from the Washington Department of Natural Resources (DNR), which manages the state trust lands, and eventually purchased the park from the Washington DNR. The final deeds were exchanged in 1992.